How to use Waze App Auto Android | Does Waze use Data? Installing the Waze App on your device is very simple. But after installing you should know How to use Waze App. As this is a navigation app, there will be some tactics to use and to understand Waze. The things you need know about Waze app is how to create Waze account, basic settings, how to connect Waze to a car, How to use Waze on Android Auto, etc. You can see all those on one page. So, just scroll down and get complete knowledge on How to use Waze. Waze is one of our favorite navigation apps. It’s just like Google Maps and finding the differences between these two is a bit difficult. But Waze can be awesome with the right tweaks particularly in the cities with more traffic. So, for driving it would be better to use the Waze for rerouting on the fly, altering you to various incidents and police and more. Unlike Google Maps there are some little features in Waze like Road closure information and traffic jam estimations. This says the answer for “Does Google Maps use Waze?” is No. As Waze is an awesome app, it is important for you to know how to use Waze offline on your device. You will need this app in the big cities or places with lots of traffic. So first download the Waze app on your device, install it and follow the below guidelines to use the Waze app without any complications. After installing the app, you need to create the account and login with your Username and password to start using the app. So, whats late? avoid the irritating traffic jams by checking the steps regarding How to use the Waze App. How To Use Waze App to Avoid Traffic Jams? Open Waze Android on the device you have downloaded. Tap on the App icon to open the app. Then, you will find the search icon at the bottom left corner of the screen. Enter the destination. There you can add address location here. While typing the destination you will get the suggestions in the search bar. Tap on “Go”—-> Routes. View all the available routes. In case, if you find the route with the red circle it denotes traffic jam. If you find the yellow circle, it indicates the potential accidents and other Hazards. Click on traffic free route. Then, you can get the primary routes and directions to reach the destination. Finally, the Route options along with the time to reach will be displayed just as shown in the below image. If you stuck in the traffic you need to determine another route on Waze. At that time you can follow the above steps to get away from the traffic jams. How to Create Waze Account? To use the app you have to create a Waze account. 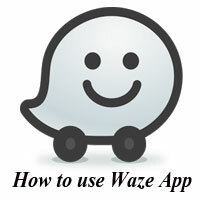 This Waze account can be created easily with the following steps. After successful installation of the App, click on the Waze icon on your phone/ tablet. Tap “Get Started”. Scroll down the menu and accept the license agreement. Tap on Accept terms and Conditions. Go to Menu—-> Settings—-> Create account & Login. You may also Sign up with the Phone/ Facebook. If you choose the registration with Phone number then you will get the verification code to your phone. Set a password. Do not forget the password and these login details are required whenever you Sign in Waze App. Finally, you can use the Login and password to enjoy the app to save fuel and money. To get started with the Waze app you have to register your details. If you don’t know Waze registration process, just simply follow the above process. 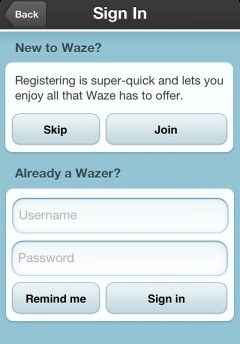 Moreover, you can also use the Waze with the temporary user. Scroll down the page—–> Tap on Account and Log in. Select Username and enter the name you would like to use. Tap on menu—–> Go to settings. Scroll down Menu —–> Tap on Account and Log in. Enter Email and add/edit the address. Choose My car —-> Tap the icon you like. Tap on the Menu—–> go to settings. Select the unit you would like to use. Before you start using the Waze Android, the above basic settings are mandatory. So, follow the above steps to complete the basic settings. How to Delete Waze Account? Go to Account & Login ——-> Click on “Delete Account”. It asks for Confirmation—-> Tap on Confirm. You must also enter the credentials for verifications. The “Android Auto” is an excellent feature which is developed by the Google. It allows all the Android devices run on Android Automobile app which offers a customized user interface while traveling in a vehicle. You need to connect to Android auto enabled head in the vehicle. Also, you must have a car that supports the Android Auto feature. 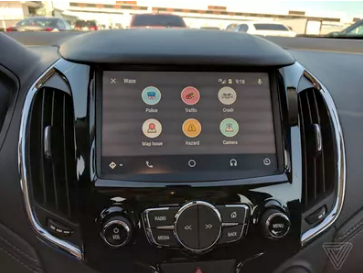 You can connect to the Waze via car display/ touch screen/ Steering wheel button and other mounted controls. Just like mobile other mobile apps, the Waze also has a Waze Android Auto is also available. It gives the updates on delays, accidents, hazards and real-time traffic using the Google Maps. The power of the Waze Android will be always there for you in the car with you. You not only get the fastest routes and roads you can also get the following. Check below points to know How to use Waze on Android Auto. Navigate to all frequent destinations as per the program in the Waze app with a single tap. Start driving with the voice command and “OK Google” to inform Waze where you wish to go. Receive audio and visual alerts. Access personalized experience from a car. Easy to view ETA panel. 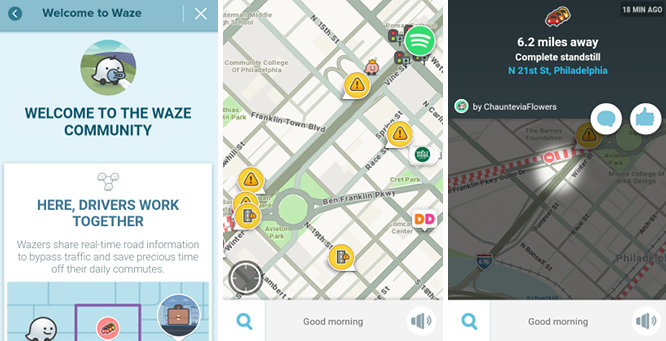 Share the accident info and help the Wazers on road through a visual reporting menu. Android Auto Waze is functional in the English language and it will be updated to other languages soon. Waze Android Auto beta can be accessed in all countries where Android Auto is available. To receive the updates on Waze for Android Auto you must integrate the Android Auto on the home screen. To use the Waze on Android device you need to have the updated Waze Android on your device. 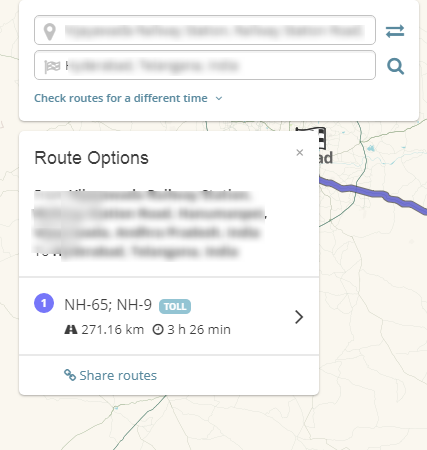 How to Connect Waze App to your Car? First of all, make sure you have installed the latest version of 2 apps on Android mobile. Now, connect the Mobile phone to the car USB port using a cable. Select Waze App from Navigation App footer. Start your drive and enter the location. Enjoy the drive without any obstacles. This is all about the Waze Download APK and Waze 4.0 Android. We hope this article will be so helpful for you to download Waze APK. But, if you face any trouble while installing the app just place a comment in the comment box. Then, we will try to help you out with a good solution. However, our site is exclusive for the Waze app, you can get all Waze updates from here. So, you may regularly visit our site to Know Whats New in Waze APK. How much data does Waze use? Does Waze App use Data? If you have a wi-fi connection, there will be no data consumed. Also, if you use wi-fi for the first time, it would be better as Waze has to download some maps, languages and other stuff. If you are using mobile data means it will consume some data. If you are under the second category, then you will definitely want to know How much data does Waze use. By reading this you can get the solution for the question that Does Waze use a lot of data. As per many users, if you have no map-cache, then the Waze will consume fewer data i.e., up 70 to 80 MB for each month. For 1 hour driving in 3D mode, it consumes up to 4MB and in 2D mode, it takes up to 2MB. So, now you will not have a doubt that ‘does Waze use data or not’. How to use Waze while Driving? First of all, install Waze app on your mobile. Connect it to the vehicle navigation system on which you are driving. Enter the current location and destination. That’s it, you can use Waze while driving. Hope this article will be helpful for all the Waze users to know the proper usage of the app for multiple purposes. However, the Waze user manual pdf is available online. Google Maps vs Waze Live Maps | How to Use Google Waze Maps Online? Waze Vs Google Maps: Is Waze better than google maps? This is the common question that arises for everyone who wants to Install navigation App. So, we have mentioned clearly about the google map vs Waze in this article i.e, the difference between the best Navigation Apps. The Waze Google is a not much popular as the Google Maps. But, the Waze app has more attractive and useful futures than the Google Maps. However, we cant say that the Google Maps is not useful. Technically, the Waze, as well as Google Maps have flourished in terms of navigation. Now, let’s check both Waze and Google Maps features and decide which App is the best app. You can also find the Key differences between the Waze and Google Maps. Also, find Waze vs Apple Maps. The big difference we observe between the Waze and the Google Maps is, the Google Maps do not have the social features such as chatting, beeping, scoreboards, speed controllers etc. The Google Maps is just Google, you and the route ahead. The Waze is priceless if you are driving a car and the Google Maps will be the best choice for you if you are on foot. The Google Maps provide only the route information whereas the Waze gives the complete information about the traffic, route and other alerts. The Waze helps you to find the proper parking space for your vehicle. If you are a driver the Waze will be the best app otherwise you can go to Google Maps. With the Waze or Google Maps, you can discover the New areas and route to reach your destination. If you are planning a trip, both are excellent apps. The Google Maps is not as same as Waze. Normally, the Google Maps is available on every Android smartphone and all the Android users are familiar with it. But, coming to Waze, to access it you have to install Waze APK on your Android device. If you want to Install the Waze App on Android device just tap on the below button. The Google Maps is a digital version whereas the paper map is the traditional map interface. Waze is the pretty obvious app which is meant for drivers. You can use the search menu to search the address you want and get the Waze gives you the exact route map. It will automatically, provides you the data about the traffic data and route updates. Waze directs you around the accidents, highways and about different route when you are in a really bad traffic. The Waze is the awesome Navigation app which has become more popular in a very short time. There are millions of Waze users all over the world and anyone can submit the info about the construction zones, live accidents, hazards etc. Then, this Waze will update the route based on this provided information. In the same way, the Google Maps also gives the aggressive details about the roads. When compared to Google Maps the Waze may be a little bit hectic and sometimes it saves more time and fuel than Google Maps. The Waze works efficiently even on an Apple Device. It is compatible with several iDevices such as iPad/iPod/iTouch. So, the Waze is popular as Navigation app for both Android and iOS devices. Even the Apple maps offer a huge number of features there are some minor drawbacks. So, in order to get more features, you can choose Waze mapping app. 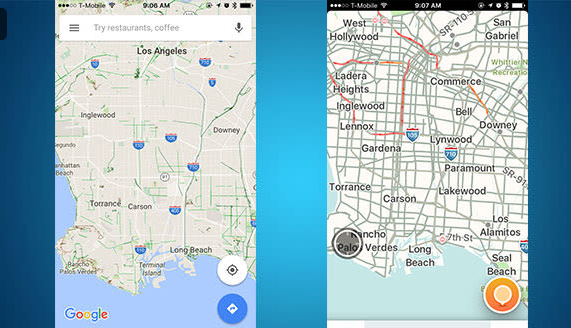 The Google Maps and Waze are two fine navigation apps with some major differences. As we are discussing, the Waze Vs Google Maps, it is very important to check the features. With Social Network integration you can get the traffic alerts from the other Waze users. You can send and receive the updated traffic info to your friends using ETA. Easy to search the cheapest gas on your route. 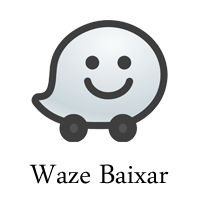 Waze offline maps are also available. Get the details about the preferred route, commuting hours and destination. Easy and simple user interface. Waze Map editor you can also edit the route. Just login Waze and edit routes. The Traffic jam indicators count the time you need to stay in the traffic jams. 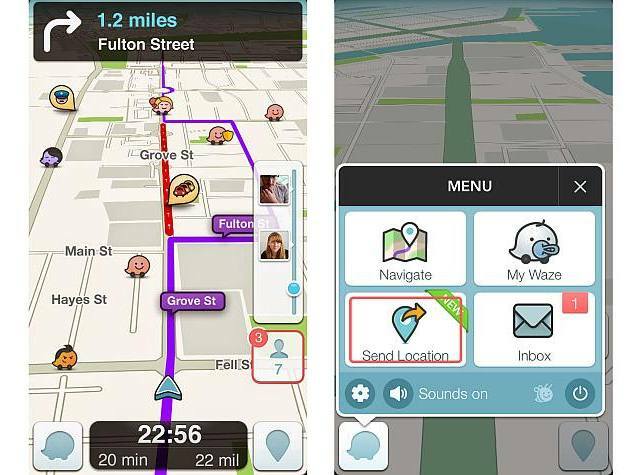 These above are some of the major and minor features of the Waze App. Along with the above features, the Waze has some additional options to enable the Navigation customization. On Waze traffic maps you can set and evade the highways to get the shortest route rather than the fastest. Moreover, if you want to edit the route you have can go with the Waze Maps. The Google Maps has many other navigation options than the Waze. So it is possible for you to get the business names, address along with the description. The Google Maps avoids some routes like ferries, Highways, tolls etc. The following are some of the attractive features of Google Maps. Voice Navigation options like Biking, Walking and Driving. Navigation options such as walking, driving and public transportation. Optional routing, incident reports, and Live traffic conditions. Integrated with the Google Street View. Turn by turn navigation and Offline mode. If you arrive too late, google maps Waze also indicates the business hours. Shows the lanes along with the route to drive in. From the Map information, you can get the several routing options. Saves the gas and time. The above mentioned are some of the major differences between the Waze vs Google Maps. So, now you may have a glance at the below conclusion and decide which app is suitable for your need. How to Use Waze Live Map? First of all, open the Waze app on your smartphone or go to www.waze.com. Then, you will find search bar i.e, Search for an Address/place. Enter the place you need to visit. Then, you have to enter the present location as shown below. Now, you will get the exact root. 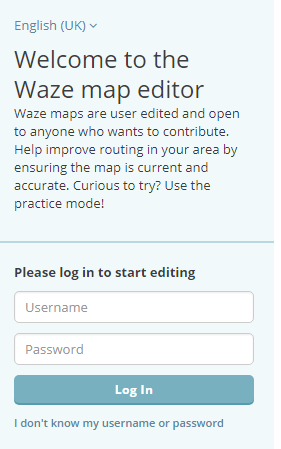 If you want to edit the Maps you can use the Waze Map Editor. Tap on “Edit the Map”. For this, you need to enter the login details. Tap on login. That’s it, you can edit Waze live map. How to Use Google Maps? Open the Google Maps on your device or visit maps.google.com. On that page, you will find the search on Google Maps. Enter the location in that search bar as shown below. Turn on the location to get the present location. Finally, you will get the route map, if you want the satellite location tap on “Satellite”. In reality, both the apps have some weaknesses as well as strengths and work in different ways. However, you will not know much about these unless you use them. You cannot decide about the app with just a few specific circumstances. In our opinion, the Waze is the better to take to reach the destination faster. If you don’t care about the route, from Waze you can get the fantastic alerts about the real-time traffic and other alerts. Waze is best one since you can get the constant updates from the users. On the other hand, the Google Maps is the perfect Maps app where you can get the exact data and you can reach your destination with the help of perfect route map. In this, you cant get the traffic alerts. We hope this article on Waze Vs Google Maps/ google maps or Waze lets you, to select the right app. If you have any queries, concerns on Waze Vs Google Maps data usage, you can leave a message in the below comment box. Waze Francais c’est à dire, Waze en français. L’application Waze est officiellement disponible en plusieurs langues et nous avons fourni l’information complète sur l’application Waze en français. Vous sentez-vous tellement irrité par le trafic trépidant et à la recherche de la meilleure application de navigation? Ensuite, téléchargez l’application Apache de Waze qui est la meilleure application mondiale pour connaître le trafic en temps réel. Voici le Waze Android v4.47.0.2 , qui est la dernière version APK. Téléchargez gratuitement l’application Waze pour Android à partir des sections ci-dessous de cette page. Waze est une application fantastique pour les utilisateurs d’Android pour obtenir les itinéraires les plus rapides et les plus routiers. Avec cette application de navigation en temps réel, vous pouvez également piéger la police et facilement rejoindre votre destination. Téléchargez Waze Gratuit et économisez votre temps ainsi que le carburant pour améliorer vos déplacements quotidiens. Cette application utilise le GPS et Android pour partager le trafic en temps réel. Pour connaître plus d’informations intéressantes sur l’application, lisez cet article complètement. Nous avons partagé le téléchargement gratuit, publié et officiel de Waze APK ci-dessous. Généralement, “Waze France” est le logiciel de navigation GPS qui fonctionne sur tous les smartphones et les tablettes. Le Waze Mobile est le développeur de cette application et fonctionne sur Android, iOS, Blackberry, Windows Phones. L’application Waze fournit le trafic en temps réel des autres pilotes à l’aide du GPS. Tout ce que vous devez faire, c’est que vous devez installer l’application et vous associez à d’autres pilotes à votre emplacement qui partagent les informations routières et routières en temps réel. Si vous êtes un bon voyageur, cette application Waze fournit des mises à jour de trafic en temps réel qui permettent de voyager confortablement dans les routes animées des villes. C’est une application de navigation GPS 100% gratuite, cool, et c’est une application de géo-jeu qui rend votre voyage plus drôle. Les utilisateurs de l’application Waze s’appellent Wazers. Par conséquent, tous les Wazers peuvent obtenir les informations mises à jour sur les pièges de la police, les caméras de vitesse, les constructions, etc. Pour voyager d’un endroit à l’autre habituellement, il y aura plus d’une route. Ainsi, vous pouvez être confondu pour choisir la meilleure racine et le Waze vous aide à choisir le chemin le plus court et sans circulation. Par exemple, si vous entrez dans les adresses de domicile et de lieu de travail, cela vous proposera l’itinéraire. Il vous répondra en seulement 2-3 minutes. Voici les fonctionnalités de l’application Waze. Des millions de personnes travaillent ensemble pour un objectif commun. L’objectif de chaque utilisateur est d’obtenir le meilleur itinéraire pour travailler et déjouer la circulation tous les jours. Vous pouvez recevoir des alertes avant d’approcher la police, les dangers de la route, les accidents ou les embouteillages. Ceux-ci seront partagés par d’autres conducteurs en temps réel. De quelques millions de vos amis, c’est comme une tête-à-tête personnelle sur la route. Pour mettre à jour et améliorer les cartes de Waze, une communauté active d’éditeurs de cartes Waze travaille en permanence. Ainsi, en améliorant constamment le routage, ils sont les premiers à vous informer des changements qui se produisent dans votre quartier. En vous connectant à Facebook, vous pouvez voir d’autres amis qui conduisent vers votre destination. Vous pouvez coordonner les heures d’arrivée de tout le monde lorsque vous vous rencontrez avec des amis. Maintenant, quand vous conduisez ensemble, vous êtes sans effort synchronisé. Vous pouvez économiser votre argent et votre temps en naviguant vers la station la moins chère et la plus proche de votre itinéraire. Tout cela est alimenté par les prix du gaz partagés par la communauté. Ainsi, les conducteurs Waze Francais peuvent économiser de l’argent en travaillant ensemble pour signaler les prix à la station / pompe. Vous pouvez basculer entre différentes applications en un seul clic. Il vous permet de contrôler facilement la bande sonore de votre road trip et de définir votre destination. Comment Télécharger Waze APK pour Android? Appuyez sur le bouton de téléchargement ci-dessous pour télécharger Waze GPS sur Android. Accédez à Paramètres —-> Sécurité —> Activer les sources inconnues qui vous permettent d’installer des applications tierces. Une fois que le téléchargement de Waze Android est terminé, recherchez le fichier APK dans votre gestionnaire de fichiers. Tapote dessus. Maintenant, l’installation de Waze commence. Une fois l’installation terminée, vous pouvez afficher l’icône Waze sur votre écran d’accueil. Vous pouvez simplement appuyer sur l’icône pour utiliser Waze App gratuitement. Malheureusement, la version PC de Waze n’est pas disponible. 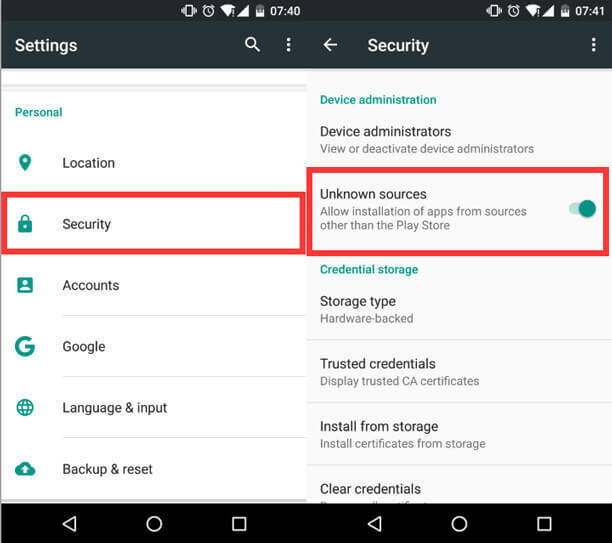 Donc, vous devez installer un émulateur Android. Accédez au site officiel de Bluestacks et installez la dernière version Bluestacks. 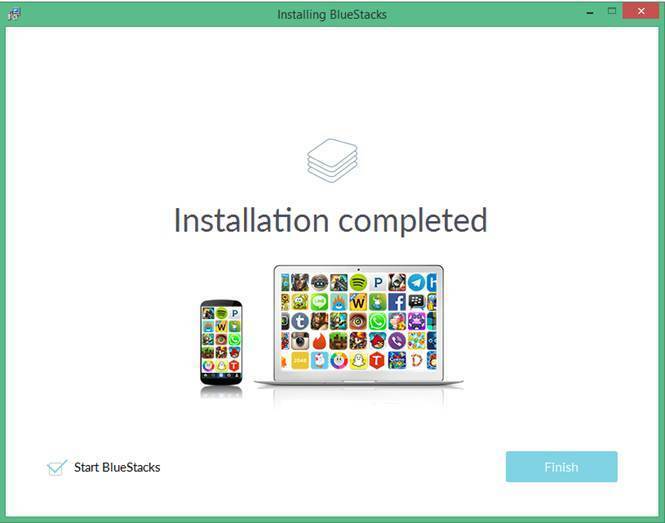 À la fin de l’installation de Bluestacks, vous pouvez télécharger le fichier APK de Waze à partir d’ici. Sinon, ouvrez les Bluestacks pour compléter le processus login / Connexion du compte Play Store. Maintenant, ouvrez l’émulateur —–> Recherchez l’application Waze. Ensuite, vous trouverez une icône Google Play Store. Encore une fois, recherchez Waze sur Play Store. Appuyez sur le bouton de lancement pour Télécharger Waze sur PC. Enfin, après avoir installé Waze pour PC, vous pouvez ouvrir l’application de Bluestacks Emulator et profiter de. Pour installer Waze iOS, cliquez sur le lien ci-dessous. Ensuite, la page sera dirigée vers Apple Store, c’est-à-dire iTunes. Là, vous trouverez une barre de recherche. Recherchez “Waze App”. Vous obtiendrez les recherches correspondantes. Tapez sur le bouton d’installation de l’application Waze. Attendez 2-3 secondes pour terminer le processus d’installation. Enfin, vous pouvez ouvrir les Maps de Waze en tapotant l’icône sur votre écran d’accueil. Sur cette page, nous avons clairement expliqué la Waze Francais. Lisez cet article complètement et connaissez complètement application Waze. Ensuite, vous pouvez vérifier Waze Avis facilement et vous pouvez rapidement rejoindre votre destination. En outre, ce site est exclusif pour l’application Waze et vous pouvez également vérifier comment utiliser Waze sur notre site. Aqui estão os links para a versão mais recente Waze Baixar para Android/ PC/ iOS. O aplicativo Waze é o melhor aplicativo do mundo quando você pode obter o acesso rápido aos alertas de GPS, Mapas, Navegação ao Vivo e Tráfego no seu smartphone. Se você baixar o Waze apk, pode chegar rapidamente ao seu destino sem problemas de trato irritantes. Baixe o aplicativo Waze e obtenha o tráfego exato em tempo real, informações rodoviárias etc. O aplicativo Waze é compatível com dispositivos Android, iOS e PC, por isso compartilhamos os links diretos para instalar o Waze no seu dispositivo..
Apenas para obter o aplicativo. Além disso, nós também fornecemos as informações sobre a versão mais recente do Watson Waz, a lista de permissões e o changelog abaixo. No entanto, damos a versão oficial pura e oficial do Waze, v 4.47.0.2 e está completamente livre de malware e vírus. Verifique também Waze como usar abaixo. O aplicativo Waze pode ser baixado em qualquer sistema operacional, i.e, Android, iOS e Windows. Basta clicar no botão de download abaixo para instalar o Waze em qualquer dispositivo. O processo de download não é o mesmo para todas as versões, então nós explicamos claramente o procedimento passo a passo para PC / Android / iOS separadamente. waze baixar gratis é tão simples e fácil. Então, siga cuidadosamente cada passo e baixe a aplicação Waze. Antes de baixar o aplicativo do waze online, verifique os seguintes recursos. Milhões de pessoas trabalham juntas para um objetivo comum. O objetivo de cada usuário é obter a melhor rota para o trabalho e superar o tráfego diariamente. Você pode receber alertas antes de abordar a polícia, riscos de estrada, acidentes ou engarrafamentos. Estes serão compartilhados por outros drivers em tempo real. A partir de alguns milhões de seus amigos, é como um heads-up pessoal na estrada. Para atualizar e melhorar os mapas de Waze, uma comunidade ativa de editores de mapas do Waze trabalha constantemente. Assim, ao melhorar constantemente o roteamento, eles são os primeiros a deixar você conhecer as mudanças que acontecem em seu bairro. Ao se conectar ao Facebook, você pode ver outros amigos que estão dirigindo para o seu destino. Você pode coordenar os horários de chegada de todos quando você se encontrar com amigos. Agora, quando você dirige juntos, você está sincronizado sem esforço. Você pode economizar seu dinheiro e tempo navegando para a estação mais barata e mais próxima em sua rota. Tudo isso é alimentado pelos preços comuns do gás da comunidade. Assim, os drivers da Waze podem economizar trabalhando juntos para reportar os preços na estação / bomba. Você pode alternar entre diferentes aplicativos em apenas uma torneira. Isso facilita o controle de sua trilha sonora de viagem e defina seu destino também. Ele permite que você veja o conteúdo reproduzido recentemente e retornar para o local onde você deixou o podcast. Você pode controlar sua seleção de músicas. Passos para Waze Download em iOS/iPhone? Clique no link Download do Waze para iPhone. O aplicativo Waze está oficialmente disponível na loja de aplicativos. Por isso, fornecemos o link direto para a versão oficial do Waze Baixar iOS. Basta clicar no botão de download abaixo e você será direcionado para a página do iTunes. Agora, a página inicial do iTunes é exibida. Lá você pode ver o aplicativo do Waze disponível para download. Você também pode ir diretamente para a App Store e pesquisar o aplicativo Mapa do Waze. Clique no botão Download para o Waze GPS. Na página inicial, você pode encontrar o ícone do aplicativo e o botão Instalar ao lado dele. Toque em “Instalar”. Quando terminar de baixar o Waze, clique no botão Concluir. Se qualquer janela pop-up aparecer, siga estas instruções para concluir a instalação. Então, aceite os termos e condições. Finalmente, abra o mapa ao vivo do Waze usando o ícone na tela inicial e comece a economizar tempo e combustível. Como Instalar Waze para PC / Waze Windows Phone? A versão para PC do Waze não está disponível. Mas você pode usá-lo no seu PC criando o ambiente Android no seu sistema. Você precisa de um emulador Android para criar um ambiente Android. Então, baixe o emulador Andy no PC. Ou você também pode usar o emulador BlueStacks Android. Clique no botão abaixo para baixar Waze APK arquivo. Salve o arquivo .apk em algum local específico.. Execute o arquivo de configuração e clique no botão Instalar. Depois de concluir a instalação do Andy ou BlueStacks, você pode baixar o APK do Waze aqui. Após a instalação bem sucedida do emulador Android, abrao. No lado esquerdo da página inicial, você encontrará uma opção “Adicionar APK”. Toque nele e adicione ou clique com o botão direito no arquivo e selecione “abrir com”. A outra forma de fazer o download é abrir o Andy/BlueStacks e concluir o processo de inscrição e login nas contas da Play Store. Agora, através de Andy, vá para a Google Play Store e barra de pesquisa, procure o download do Waze. Clique no botão Iniciar e instale-o no seu PC. Depois de instalar o Waze para PC, agora você pode abrir o aplicativo do emulador Andy e usá-lo com a ajuda do teclado e do mouse. Você também pode instalar o Waze PC usando o Bluestacks. Então, verifique essa outra maneira de Baixar vozes Waze para PC. Além disso, verifique como instalar Waze para Windows Phone. Clique no link abaixo e faça o Baixar do Waze GPS no seu dispositivo Android. Enquanto o dispositivo está no processo de download do Waze, vá para Configurações. Toque na opção “Bloqueio e segurança” ou na opção “Segurança”. Ative fontes desconhecidas para permitir que seu dispositivo instale aplicativos de fontes de terceiros. Agora seu Android Wazer será instalado sem nenhum problema. Agora localize o arquivo APK do Waze que é baixado. Ele será armazenado por padrão na pasta Downloads do Gerenciador de arquivos. Clique nele e toque em OK para permitir a instalação do aplicativo Waze para Android. Um pop-up aparece com o botão de instalação. Clique no botão Instalar e aguarde até que seja feito com esta instalação. Após a instalação, você pode ver o aplicativo Waze no seu menu principal ou na tela inicial. Clique nele e use o aplicativo gratuitamente. Como usar Waze App para evitar atolamentos de trânsito? Abrir o Waze: basta tocar no ícone do Waze para abri-lo. Em seguida, você encontrará o ícone de pesquisa no canto inferior esquerdo da tela. Digite o destino. Lá você pode adicionar a localização do endereço aqui. Ao entrar no destino, você receberá as sugestões na barra de pesquisa. Toque em “Ir” -> Rotas. Veja todas as rotas disponíveis. No caso, se você encontrar a rota com o círculo vermelho, denota congestionamento. Se você encontrar o círculo amarelo, indica possíveis acidentes e outros perigos. Clique na rota de tráfego livre. Então você pode obter as principais rotas e direções para chegar ao destino. Nesta página, temos todos os detalhes sobre o Waze baixar gratis para PC / Android / iOS. Com a ajuda desta etapas acima, você pode baixar o Waze em qualquer dispositivo com facilidade. Instale imediatamente o aplicativo e obtenha as atualizações de tráfego durante a viagem. Se você tiver um problema com a instalação do aplicativo. Então, tentaremos ajudá-lo o mais rápido possível. No entanto, nosso site é exclusivo para o aplicativo Waze continuar visitando nosso site para obter as últimas atualizações. Sudahkah anda Install Waze for PC/ Android/PC? Lalu, Cek Cara menggunakan Waze dan mencapai tujuan Anda dengan cepat. Waze GPS adalah aplikasi navigasi terbaik di dunia yang memungkinkan Anda untuk mengetahui rute bebas lalu lintas. Yang perlu Anda lakukan untuk menggunakan aplikasi ini adalah Anda harus membuat akun Waze. Kemudian, Anda bisa mendapatkan lansiran lalu lintas real-time dari anggota Waze. Anda dapat bergabung dengan jutaan pengemudi untuk mengetahui lansiran tentang Jams, kecelakaan, Polisi, dll dari App Waze. Gulir ke bawah halaman ini dan luangkan waktu untuk mengetahui Cara menggunakan Aplikasi Waze di Android / PC / iOS. Di bagian bawah artikel ini, Anda dapat menemukan bahwa Anda dapat menemukan rinciannya Cara setting Waze, menciptakan Account, Android Auto Waze, Cara menambah lokasi di Waze dll. 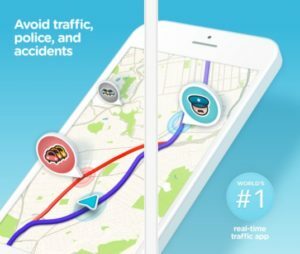 Cara Menggunakan Waze App untuk menghindari Traffic Jams? Buka Waze: Cukup ketuk ikon Waze untuk membukanya. Kemudian, Anda akan menemukan ikon pencarian di sudut kiri bawah layar. Masukkan tujuan. Di sana Anda bisa menambahkan alamat lokasi di sini. Saat mengetik tujuan Anda akan mendapatkan saran di bilah penelusuran. Ketuk “Go” -> Lihat semua rute yang tersedia. Dalam kasus, jika Anda menemukan rute dengan lingkaran merah itu menunjukkan kemacetan. Jika Anda menemukan lingkaran kuning, itu menunjukkan potensi kecelakaan dan Bahaya lainnya. Klik pada rute bebas lalu lintas. Kemudian, Anda bisa mendapatkan rute dan arahan utama untuk mencapai tujuan. Jika Anda terjebak dalam lalu lintas Anda perlu menentukan rute lain di Waze. Saat itu Anda bisa mengikuti langkah-langkah di atas untuk menjauh dari kemacetan lalu lintas. Hindari kemacetan lalu lintas dan kecelakaan. Data Navigasi dibagikan dengan aplikasi pihak ketiga seperti ETA, Jarak ke giliran berikutnya, informasi rute dll. Tersedia di manapun dan ada penerimaan GPS dan Seluler. Fitur yang berfokus pada driver. Cara pake waze sangat sederhana. Anda dapat melihat teman mengemudi di tempat tujuan. Masuk dengan nomor telepon / Facebook. Kompatibel dengan iOS dan Android. Dapatkan arahan jalan dengan suara. Temukan pompa bensin di rute Anda. Waze Android bisa digunakan dimana saja di dunia. Aplikasi terbaik untuk driver yang sangat suka menghemat waktu dan uang. Hemat waktumu sambil mencari tempat parkir. Anda akan mendapatkan peringatan bila melebihi batas. 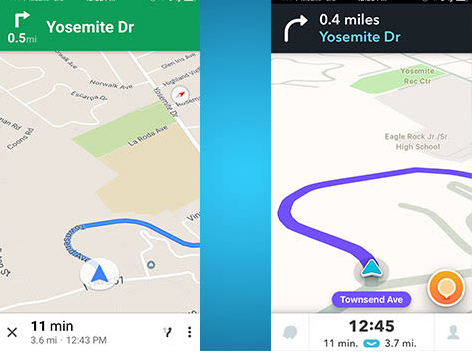 Secara resmi Android Auto Waze juga tersedia. “Android Auto” adalah fitur unggulan yang dikembangkan oleh Google. Ini memungkinkan semua perangkat Android berjalan di aplikasi Android Automobile yang menawarkan antarmuka pengguna yang disesuaikan saat bepergian dengan kendaraan. Anda perlu terhubung ke kepala auto diaktifkan Android di dalam kendaraan. Anda harus memiliki mobil yang mendukung fitur Android Auto. Sama seperti aplikasi mobile mobile lainnya, Waze juga memiliki Waze Android Auto yang juga tersedia. Anda dapat terhubung ke Waze melalui layar mobil / layar sentuh / tombol roda kemudi dan kontrol terpasang lainnya. Ini memberi pembaruan pada penundaan, kecelakaan, bahaya, dan lalu lintas real-time menggunakan Google Maps. Kekuatan Android Waze akan selalu ada untuk Anda di dalam mobil bersamamu. Anda tidak hanya mendapatkan rute tercepat dan jalan Anda juga bisa mendapatkan yang berikut. Arahkan ke semua tujuan yang sering sesuai dengan program di aplikasi Waze dengan sekali tekan. Mulai mengemudi dengan perintah suara dan “OK Google” untuk menginformasikan kepada Waze di mana Anda ingin pergi. Menerima lansiran audio dan visual. Akses pengalaman pribadi dari mobil. Mudah untuk melihat panel ETA. Bagikan info kecelakaan dan bantu Wazers di jalan melalui menu pelaporan visual. Android Auto Waze berfungsi dalam bahasa Inggris dan akan segera diperbarui ke bahasa lain. Waze Android Auto beta dapat diakses di semua negara tempat Android Auto tersedia. Untuk menerima pembaruan pada Waze untuk Android Auto, Anda harus mengintegrasikan Android Auto di layar awal. Untuk menggunakan perangkat Waze di Android, Anda perlu memperbarui Waze Android pada perangkat Anda. Untuk menggunakan aplikasi, Anda harus membuat akun Waze. Akun Waze ini dapat dibuat dengan mudah dengan langkah-langkah berikut. Setelah pemasangan Aplikasi berhasil, klik ikon Waze di ponsel / tablet Anda. Ketuk “Mulai”. Gulir ke bawah menu dan terima perjanjian lisensi. Ketuk Terima syarat dan Ketentuan. Pergi ke Menu —-> Pengaturan —-> Buat akun & Login. Anda juga dapat Mendaftar dengan Telepon / Facebook. Jika Anda memilih pendaftaran dengan nomor Telepon maka Anda akan mendapatkan kode verifikasi ke telepon Anda. Setel kata sandi. Jangan lupa kata sandi dan rincian login ini diperlukan setiap kali Anda Masuk Aplikasi Waze. Akhirnya, Anda dapat menggunakan Login dan kata sandi untuk menikmati aplikasi untuk menghemat bahan bakar dan uang. Untuk memulai aplikasi Waze, Anda harus mendaftarkan data Anda. Jika Anda tidak tahu proses pendaftaran Waze, cukup ikuti proses di atas. Apalagi Anda juga bisa menggunakan Waze dengan pengguna sementara. Ketuk pada Menu -> Pengaturan. Gulir ke bawah halaman -> Ketuk Account dan Masuk. Pilih Username dan masukkan nama yang ingin anda gunakan. Ketuk menu -> Buka pengaturan. Gulir ke bawah Menu -> Sentuh Account and Log in. Masukkan Email dan tambahkan / edit alamatnya. Pilih mobil saya -> Ketuk ikon yang Anda suka. Ketuk Menu -> masuk ke pengaturan. Pilih unit yang ingin Anda gunakan. Sebelum Anda mulai menggunakan Android Waze, pengaturan dasar di atas adalah wajib. Jadi, ikuti langkah-langkah di atas untuk menyelesaikan pengaturan dasar. Buka Waze App, Masuk ke Homepage —-> Ketuk Login di pojok kanan atas. Di header navigasi utama, klik “Live Map”. Kemudian, ketuk pada “Edit Peta”. Akhirnya, Anda bisa cara edit peta Waze. Pertama-tama, Anda harus membuka aplikasi Waze di perangkat Anda. Sekarang, Anda bisa mengatur Waze Indonesia dari daftar bahasa yang ditampilkan. Masuk ke Account & Login —> Klik “Delete Account”. Ini meminta Konfirmasi -> Ketuk Konfirmasi. Anda juga harus memasukkan kredensial untuk verifikasi. Cara Menghubungkan Waze App untuk Anda Car? Pertama-tama, pastikan Anda telah menginstal 2 aplikasi terbaru di Android mobile. Sekarang, hubungkan ponsel ke port USB mobil menggunakan kabel. Pilih Aplikasi Waze dari footer App Navigasi. Jalankan drive Anda dan masukkan lokasi. Ini semua tentang Cara menggunakan Waze di Android/PC/iOS. Jika Anda membaca artikel ini sepenuhnya Anda dapat dengan mudah mengerti Cara menggunakan Waze Gps pada semua perangkat. Jika Anda menghadapi masalah saat menggunakan aplikasi Waze, silakan memberikan komentar di kotak komentar. Kemudian, Anda akan membalas Anda dengan solusi yang tepat.